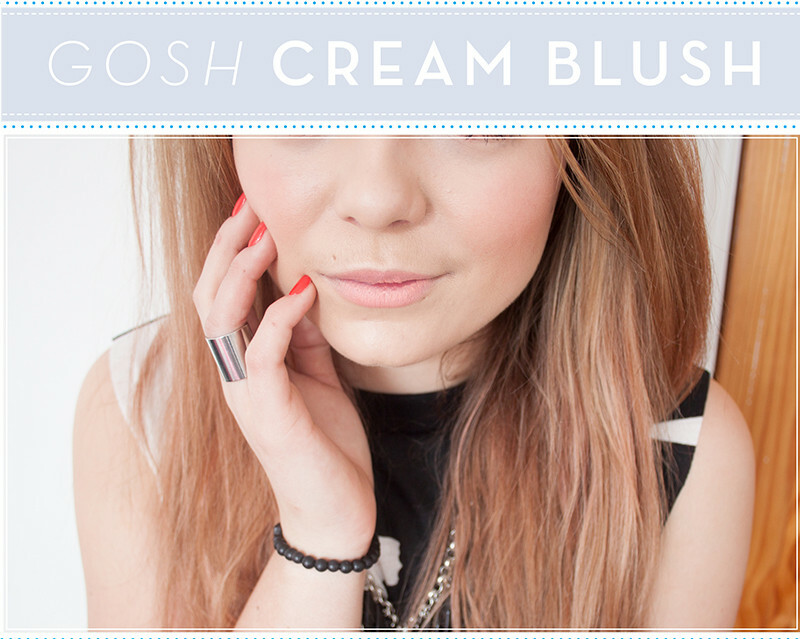 My love for cream blushes has blossomed over the past few weeks so I thought I'd give another one a whirl. 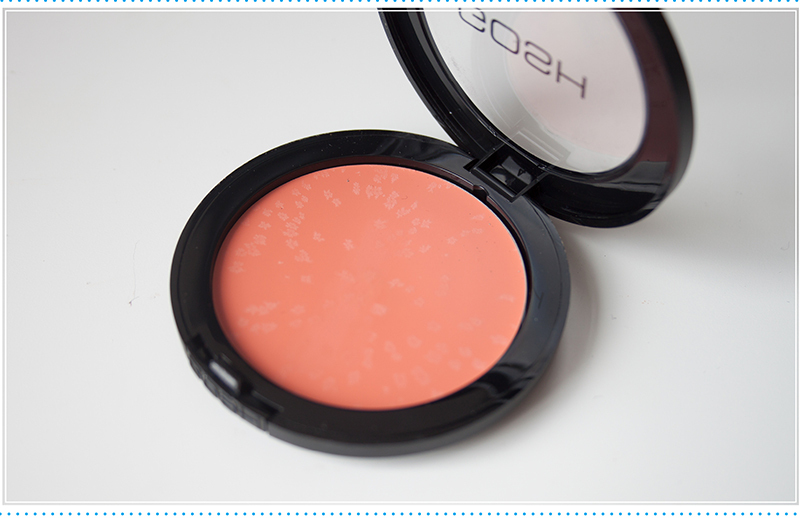 GOSH Natural Touch Blush on 001 Peachy Rush, a really pretty true coral creamy blusher. It gives a natural soft peachy glow to the face which really brightens the skin and looks very fresh. It has a decent formula which reminds me of the Topshop Cream Blushes as it has a cream to slight powder finish, but it still has a little bit of dewiness. They are very moisturising and I feel that it sinks into my skin and blends beautifully. I don't feel like it lasts that long on my skin as I find in sinks in and loses its colour throughout the day, Probably around 4-5 hours before noticeable fading. To apply I pat it on with a finger, then use a Real Techniques Expert Face brush to blend out to a soft finish. In all a nice blusher and is perfect for the spring and summer, I've found myself reaching for it a fair few times in the last week or two. At about £7 (I cant find it online, but I have a feeling its that much) you cant really go wrong. 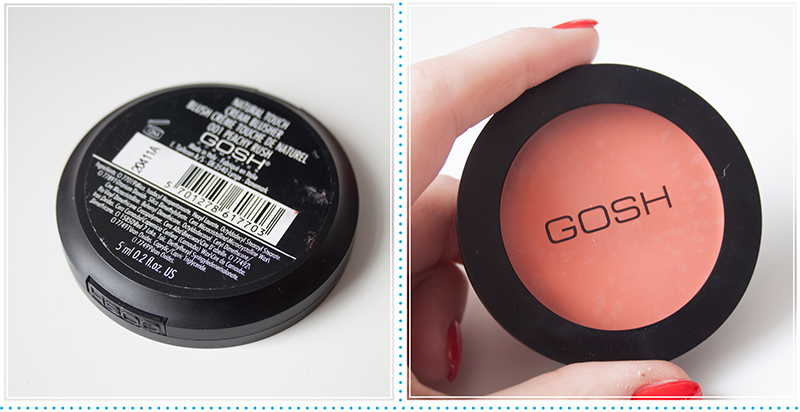 It's a good drugstore blusher and perfect for spring. GOSH is stocked in Superdrug.